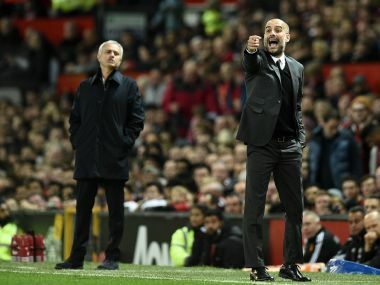 London: Manchester United manager Jose Mourinho admitted his side have little chance of catching Premier League champions Manchester City next season unless the standards set by Pep Guardiola's side slip. 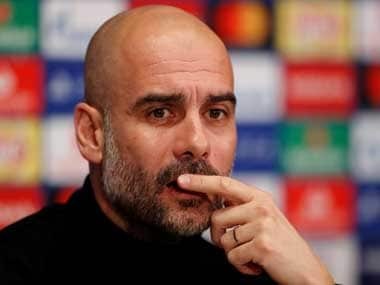 Second-placed United trail City by 16 points with four games of the league season to go after Guardiola's men kept up their chase of a series of Premier League records by thrashing Swansea 5-0 on Sunday. Mourinho believes United let crucial points slip away in defeats to West Brom, Huddersfield and Newcastle. 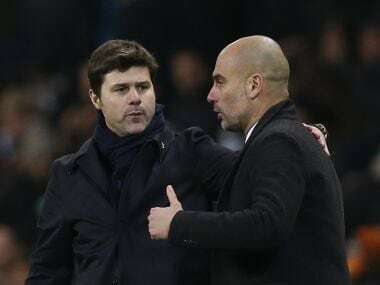 However, the Portuguese coach reckons even if those errors are eradicated next season, it will be difficult to challenge for the title if free-spending City bolster their squad once more over the summer. "I think we should have eight, nine or 10 points more than we had," said Mourinho after reaching the FA Cup final by beating Tottenham Hotspur 2-1 on Saturday. "It was not acceptable the last defeat (to West Brom), not acceptable the performance at Huddersfield, not acceptable the performance at Newcastle, so we lost a few matches where we should do better. "Can we improve next season? Let's try. Can Manchester City keep this level or improve this level? Only they can say. "If they have the team they have, and they are going to invest on the top of the team they have, of course it's going to be difficult." United have spent hundreds of millions themselves since Mourinho took charge just under two years ago, splashing a then world record £89 million fee for Paul Pogba in 2016 and beating City to the signature of Alexis Sanchez in January by reportedly making the Chilean the highest paid player in Premier League history. However, Mourinho hinted at only minor alterations to his squad this summer to replace the retiring Michael Carrick and Marouane Fellaini, whose contract expires in June. "We are going to improve the basics to improve our squad. We need to find a replacement for Michael Carrick, if Felliani leaves, we need to find a replacement for Felliani," added Mourinho. "We believe that more than spend, spend, spend (it) is more (about) the evolution of our players. "We have some young players who need to get with both hands opportunities for their evolution."